“Is the life you are living the same as the life that wants to live in you? Let your life speak.” – Parker Palmer. Our ability to use our Voice takes on many forms. It may be strengthening our confidence to speak up in our next meeting. It may be our willingness to speak our truth and the truth of a situation. It may be calling out injustice. It may be calling joy. Be still. What does your authentic life and leadership want to say versus what you are saying for the sake of talking. 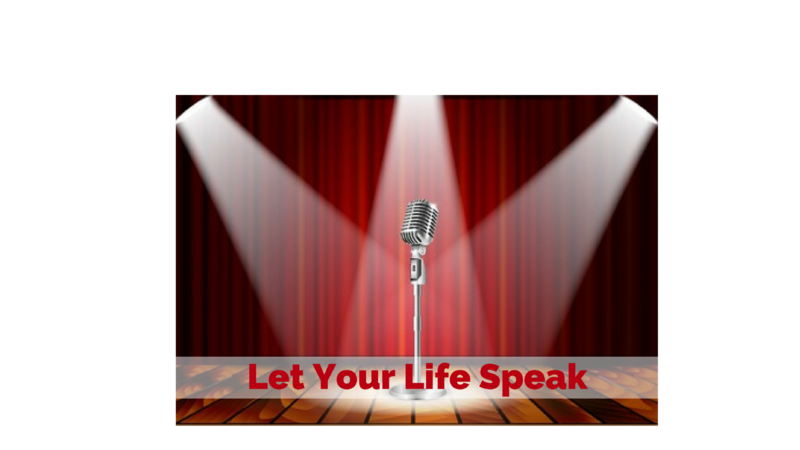 Consider letting your Life speak. What would it say? What would be different? Therein lies your truth.